Royal Rumble 2017 - Retrospective and Predictions - NewRetroWave - Stay Retro! | Live The 80's Dream! From about 1988 to 1990, the Rumble itself wasn't a huge deal. In fact, it wasn't even the main event in 1988. Wrestlemania might be the “granddaddy of them all”, but the Royal Rumble really embodies the sense of spectacle that is both a defining characteristic and point of origin for professional wrestling. The annual winter pay-per-view consists of thirty participants (though twenty and forty were used in the past) all competing to throw every other man (or Chyna, or Beth Phoenix, or Kharma) over the top ropes to be the last competitor remaining. “Hacksaw” Jim Duggan won the inaugural Royal Rumble on January 24, 1988. Though the first few years saw the victor receiving little more than bragging rights, 1991 saw the Rumble winner going on to challenge for the World Heavyweight Championship at Wrestlemania – a tradition which has lived on since (barring a few exceptions where the Royal Rumble itself determined who was the champion). With the thirtieth Royal Rumble taking place tomorrow night at 7:00 pm EST on the WWE Network, and with said Rumble shaping up to be one of the most unpredictable wrestling events in years, it’s interesting to look at exactly how it has evolved over the years. I’ll also include some of my armchair booking predictions for this year’s match. From about 1988 to 1990, the Rumble itself wasn’t a huge deal. 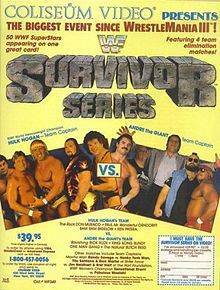 In fact, it wasn’t even the main event in 1988. 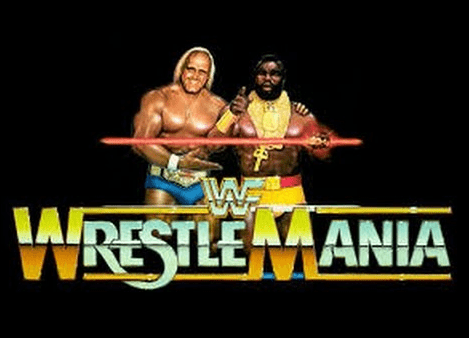 And even though 1991 saw the introduction of the Wrestlemania main event promise to the winner and 1992 had the title itself on the line, things didn’t start getting really interesting until 1995. 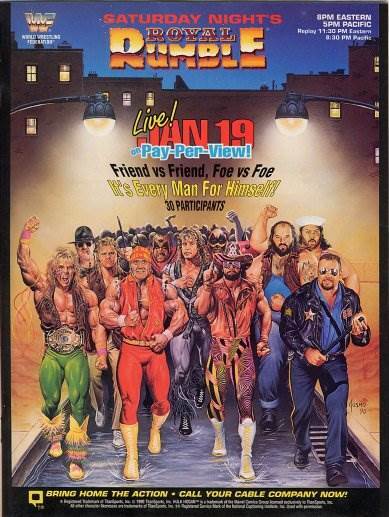 Prior to this, the Rumble was successful, but it was treated as more of a Survivor Series and less as a SummerSlam, in terms of buy rates, 1995 marked the beginning of a decade (not counting 1998, because the Austin-McMahon stuff was turned up to eleven during that summer) where the Royal Rumble was second only to Wrestlemania as far as pay-per-view buys are concerned. Aside from that weird time Vince McMahon won (thank you, Vince Russo), the winner’s from that time frame were clearly “the guy” – you know, the guy that runs the show, the guy that Raw revolves around, the guy that’s the face of the company. Just look at the names: Shawn Michaels (x2), Stone Cold Steve Austin (x3), Vince McMahon (dammit Russo), Triple H, Brock Lesnar, Chris Benoit (mostly transitional to try to prop up Randy Orton as the next “the guy”), and Batista (even though John Cena wound up being “the guy”, it is painfully obvious that Batista was the first choice if you watched Raw that year. Also, I’ll try to limit my use of “the guy” and parenthetical asides for the remainder of the article. Don’t say I never gave you anything.). Those are all recognizable names, even to non-wrestling fans. The next year saw the ascension of John Cena to his indisputable position as the face of the WWE. Wrestlemania was going to revolve around him despite the Rumble. Winners for the next several years wound up being performers who didn’t really need it. Shawn Michaels’ wins catapulted him into the main event scene. Austin’s did the same and were an inevitable part of the era-defining storyline. The wins in the back half of the 00’s were important, but they were given to wrestlers like Randy Orton, John Cena, or the Undertaker, all of which were already established main event talents. Alberto Del Rio and Sheamus wins with unimportant or uninteresting Wrestlemania payoffs further pushed what should be an unpredictable and exciting event into a sense of complacency. Goldberg & Brock Lesnar – It’s clear that Goldberg vs. Brock Lesnar is the end game for a Wrestlemania match. It’s likely that one of them will clear the ring when the other enters the ring. Neither of them will win. Big E, Kofi Kingston, & Xavier Woods – As much as I’d love for Kofi to get a win, he won’t. Nobody from the New Day will. Kofi will do what Kofi always does and make one of the most memorable moments of the night, but ultimately none of them will win. My theory on Kofi doing his thing: Kofi somehow winds up on the barricade having never touched the ground. Big E literally throws him back into the ring, maybe carrying him around outside for a while. Chris Jericho – The US Champion might actually win it. He deserved to a few years ago, and he’s certainly one of the most well-received components of Raw. His hinting at a Universal Championship shot makes this a possible win. Braun Strowman – This is another possible win. He’s likely going to be the dominating monster that takes multiple participants to topple. He’s going to share this distinction with Baron Corbin. I see those two taking on the roles of Big Show and Kane. Expect the commentary team to talk about how they’re the odds-on favorites to win. Baron Corbin – See above. He’s going to do a lot of damage, but he won’t win. He’s going to be eliminated by Kalisto. The Undertaker – This is a possible win. In all honesty, this would be the closest to a predictable win that I can see in this Rumble. There’s no doubt that he has given more to the business and the WWE in particular than anybody, but he really doesn’t need this win. If Goldberg and Brock don’t eliminate one another, Taker needs to eliminate them both. However he is eliminated will likely define his match at Wrestlemania. The Miz – He won’t win but he’s going to be the best at working the crowd. This is because there is currently nobody better at working the crowd. Every Miz feud since this summer has been must-watch television. While he shouldn’t win, he definitely needs to have some sort of impact. It won’t hurt if he does some yes chants or comes out to Daniel Bryan’s music. Please let that happen. Dolph Ziggler – This past summer I would have sworn this was Ziggler’s year to win the Rumble. He is an astounding in-ring performer. With his recent heel turn, I don’t know if the win is there for him. Heel’s have won in the past, such as with Austin’s first win, but Ziggler hasn’t been tearing the roster apart the way Stone Cold did leading up to his win. Cesaro & Sheamus – This is where this fantastic team falls apart. Neither will win. One will eliminate the other and this will lead to a Wrestlemania match. Bray Wyatt, Randy Orton, Luke Harper – Okay, I’ve been playing too safe. Here goes something wild: Orton and Harper team up and eliminate Bray Wyatt. Bray’s been looking strong the past few PPV’s, so it’ll be interesting to see how they maintain that (or if they maintain that) with the Harper/Orton rivalry that has been brewing. Sami Zayn – This isn’t Sami Zayn’s year. I want it. You want it. If he hadn’t lost the last man standing match with Strowman I’d think it’d be him. Even though he won’t win, he will Heluva Kick Braun out of the match and regain some steam though. Lord knows Sami needs it. Potential NXT Callups – Nobody from NXT will win, but I think we’re going to get Tye Dillinger, Bobby Roode, and Samoa Joe. Let me rephrase that: I HOPE we get Tye Dillinger, Bobby Roode, and Samoa Joe. Those three would have an incredible impact on any roster and would make for unforgettable moments. Dean Ambrose – If you asked me who would win in December, I would say Dean Ambrose without hesitation. Out of every member of the Shield, he managed to look the best at the end of 2016. He’s currently the Intercontinental Champion, which means a lot of people don’t think he’s going to win. I personally consider him my personal pick to win. I think he’s the right guy and it’s the right time. I’m not sure what repercussions this will have for the IC belt, but I feel like it’ll find it’s way to Corbin or Ziggler as Ambrose pursues a World Championship. Which Retro Professional Wrestler Are You?